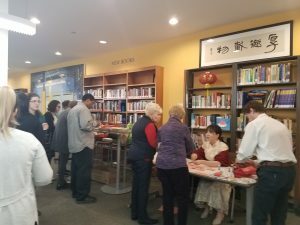 A 17-member Chinese delegation from the China Federation of Literary and Art Circles organized by the Triway International Group of Falls Church, Virginia visited the Walsh Gallery on November 5 and 7, 2018. They viewed the two solo exhibitions on display in the gallery, David Freund’s Gas Stop: Culture and Tom McGlynn’s Standards, and then heard presentations on relevant museum topics, specifically the changing roles of museums and curators, by Gallery Director, Jeanne Brasile, and chair of the Museum Professions graduate program, Greg Stevens. 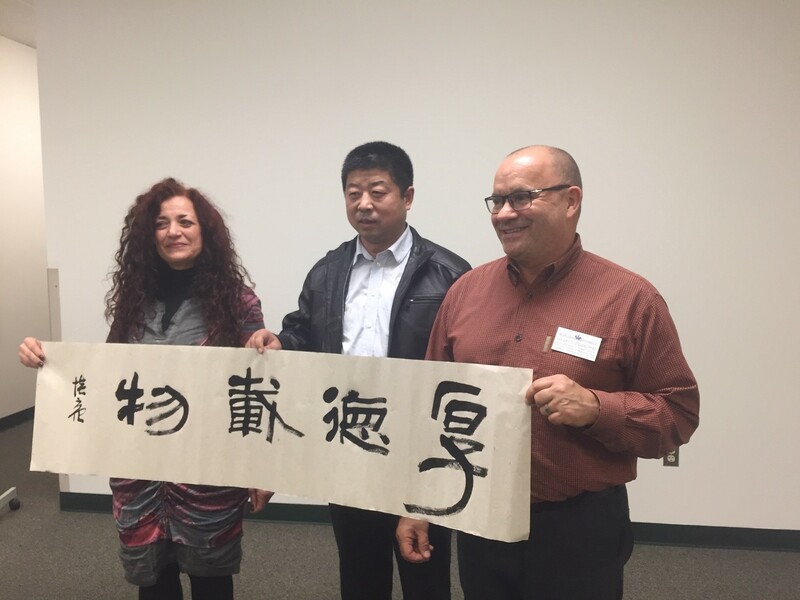 During the visit, Mr. Peiliang Zheng, the Deputy Director of the Professional Commission of Calligraphy and Art Center, created a piece of calligraphy that is now in the Seton Hall University Permanent Collection and hung in the Walsh Library’s Chinese Corner. 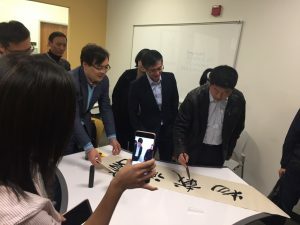 For more information about the visit, check out this article.